Picture this; a big send-off party in the office and a gold watch after years of hard work. Then a few years spent playing golf and dozing in a rocking chair to look forward to. That is what retirement used to mean. Not anymore. In the movie ‘Intern,’ Robert De Niro plays Ben Whittaker, a 70-year old retired executive who took on a job as a ‘senior citizen intern’ at a fast growing online fashion start-up after retirement became too boring for him. Ben was assigned to work with the founder and CEO Jules Ostin (Anne Hathaway) who is somewhat sceptical initially. But Ben slowly wins over co-workers with his likeability and became a key support for Jules and her team. And then the time came when Jules needed to make a major decision about the future of the company, guess who she turned to? OK, I’ll spare you the rest of the story, just in case you haven’t seen the movie. This analogy highlights how retirement is changing for many people and how important the contribution is that older employees can make in the workforce. For many of us, the idea of a 30-year retirement devoted only to leisure just doesn’t cut it any more (I’ll let you decide this!) Increasingly however, many people start their retirement off with a second career; often part-time, paid or otherwise, built around their lifestyle, travel and leisure. There is an important but subtle difference here in the sense that work is built around leisure, rather than the other way round. This is then followed by a less active but generally healthy stage of retirement. Here, more time and attention is often devoted to helping others, serving in the community and spending more time with family and friends. Then there is the final stage of retirement, where many people often need some kind of support in later life. This support can sometimes be provided in one’s existing home but there are instances where individual needs are best met in retirement villages for instance. 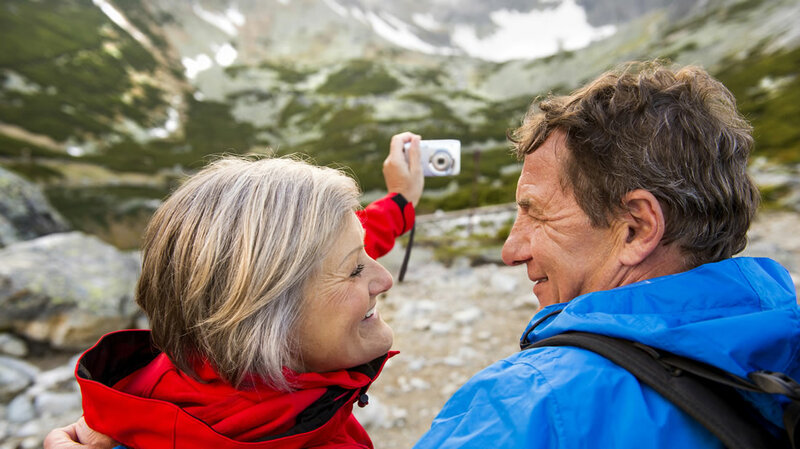 The reality is that retirement can be both exciting and challenging. Adequate planning involves having clarity around your own dreams and aspiration as well as anticipating the ups and downs, and ultimately enjoying the journey. 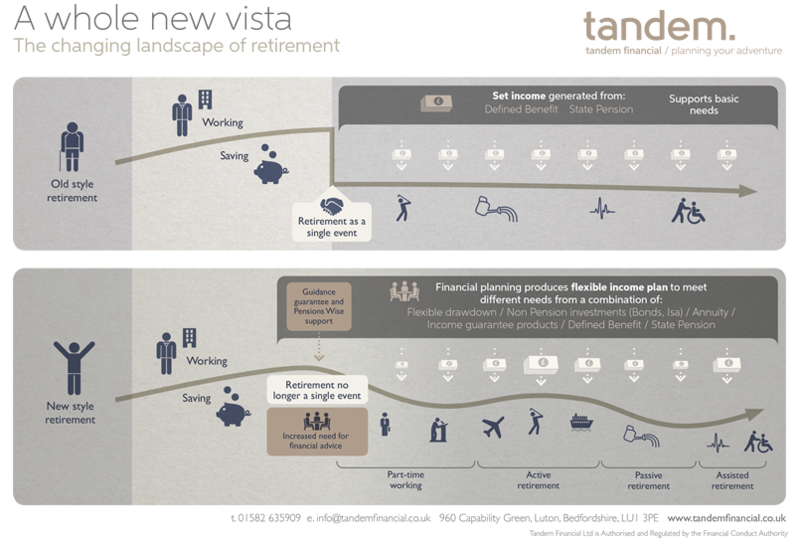 Whatever your idea of an ideal retirement is, our job at Tandem is to provide advice and support along the way and help plan your adventure.